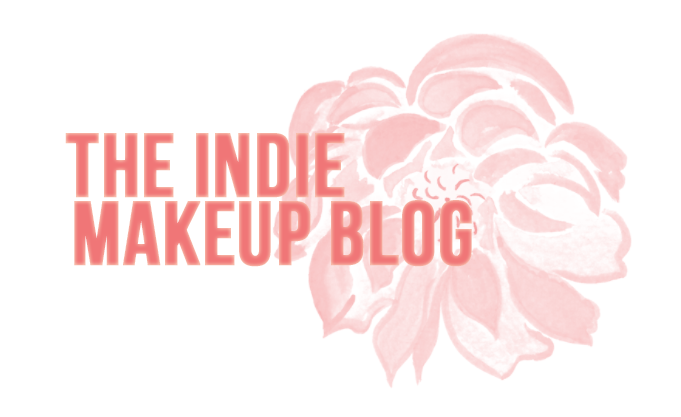 Ten Three Labs (TTL) is a brand I reviewed early in my blog days. If you're a longtime reader, you may remember their Bob's Burgers collection. In addition to eyeshadows, TTL also offers perfumes, liquid lipsticks, and lip balms. Most of the products are available in sample size or full size. The shop is based out of Tennessee and is completely vegan. The collection will be launching July 1st (tomorrow!). Today's review will be all about the upcoming K-Pop collection. This is a rather large collection in it's entirety, comprised of nine eyeshadows, 3 perfumes, 2 liquid lipsticks (known as Saucebox Sheens), and a new flavor of Salve Stick. Admittedly I know next to nothing about Korean music in general so I don't get the name references but I think the colors speak for themselves! 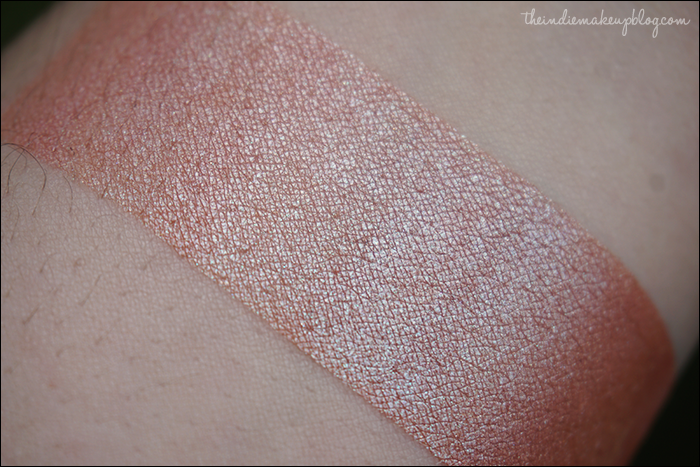 I also received a sample of Love Me Right, June's COTM so that's also swatched in here. Girls Girl Girls is an olive green with gold shimmer. Breathe is a peachy toned caramel base with an overlay of pink glitter. 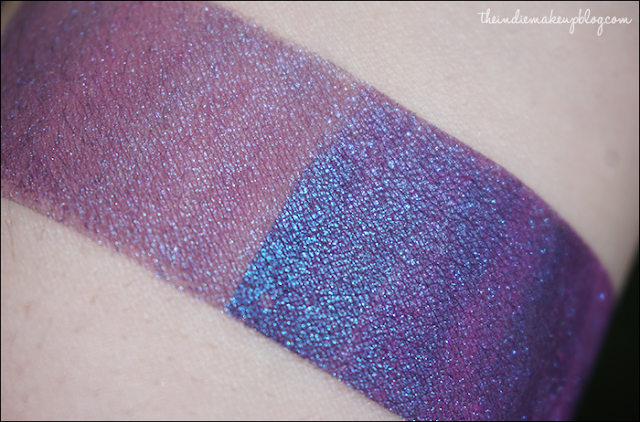 Glittery shades like these always make my heart flutter. 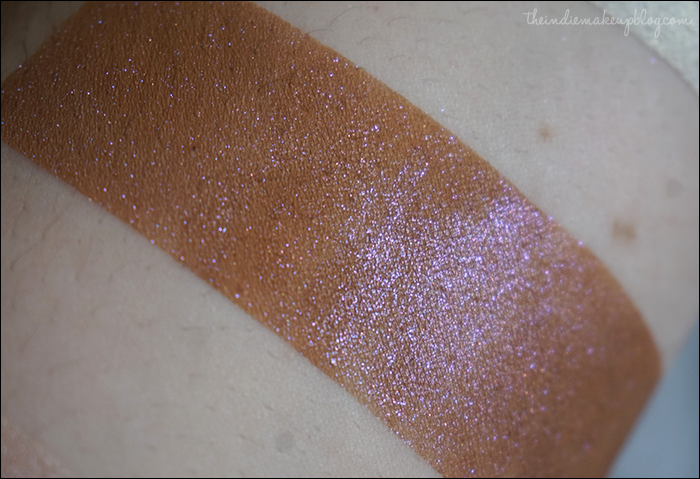 At first glance I thought it would be similar to Corvus Cosmetics Gingerbread Haus but Breathe's base is much lighter and the glitter more prominent. Red Light is a bright red with golden shimmers. ROXANNNEEEE, YOU DON'T HAVE TO PUT ON THAT RED LIGHT. 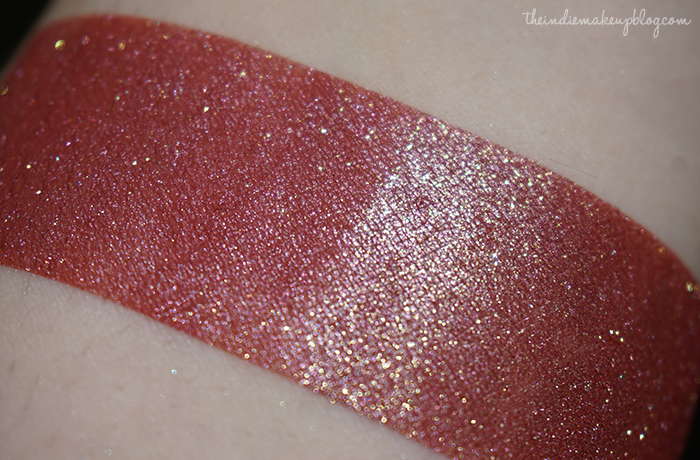 I know this is supposed to be based on K Pop, but this eyeshadow is basically the total embodiment of Moulin Rouge. Pretty color, good formula. TTL knows how to do reds well. Run Devil Run is a flat black with a golden overlay. This color is really interesting. 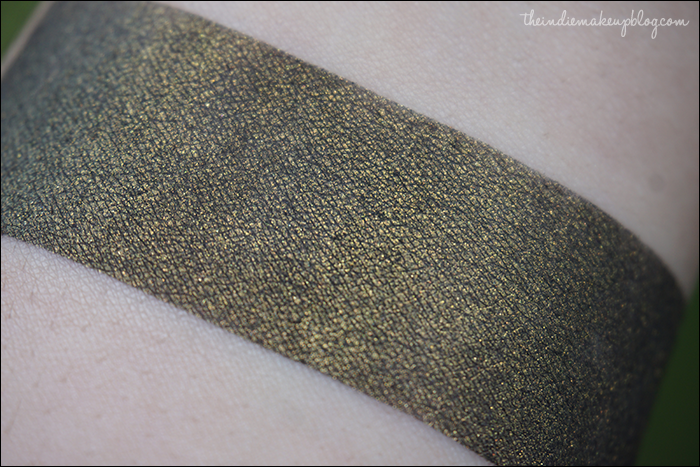 I've seen a lot of variations of blackened golds and black with gold shimmer but the prominent gold iridescence in this one sets it apart. It looks virtually identical over regular primer and over a sticky base. I don't tend to wear a lot of black shadows but I think it's a beautiful shade nonetheless. 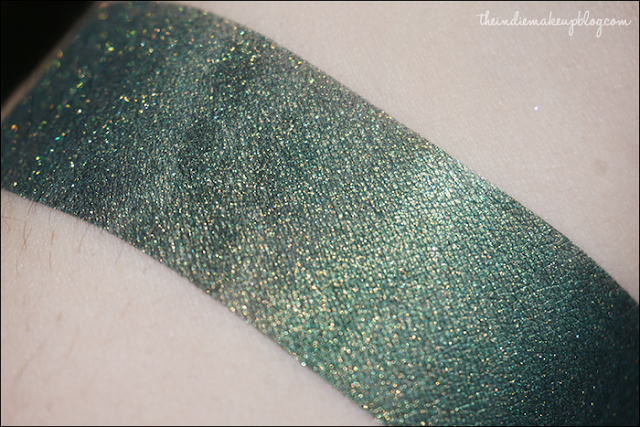 Sniper is a deep forest green with a golden sheen. I'd recommend wearing this one over a sticky base to get maximum color payoff and a more metallic effect. Poison is a violet with a dark blue shift. This was definitely the disappointment shade of the bunch. It was sheer over regular primer and patchy over a sticky base. 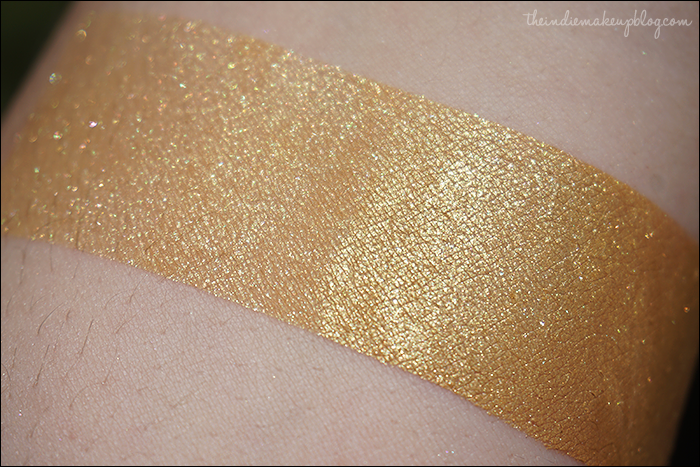 If you're looking for a similar shade, I'd say check out Notoriously Morbid's Walking On Sunshine. 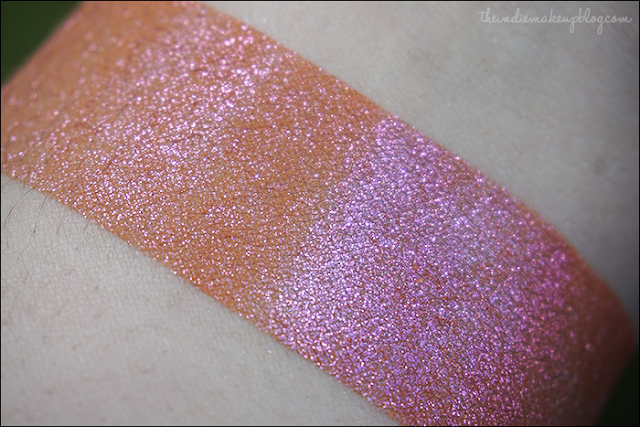 Fantastic Baby is a pale creamsickle orange with a blue sheen. I don't know why my camera loves to wash out subtle blue sheens but it's readily apparent in person. It's a really nice neutral with a twist kind of color. Dorado is a yellow gold a green-gold sheen. The slight greenish sheen is mostly visible over a sticky base. I think it would look awesome paired with Run Devil Run. 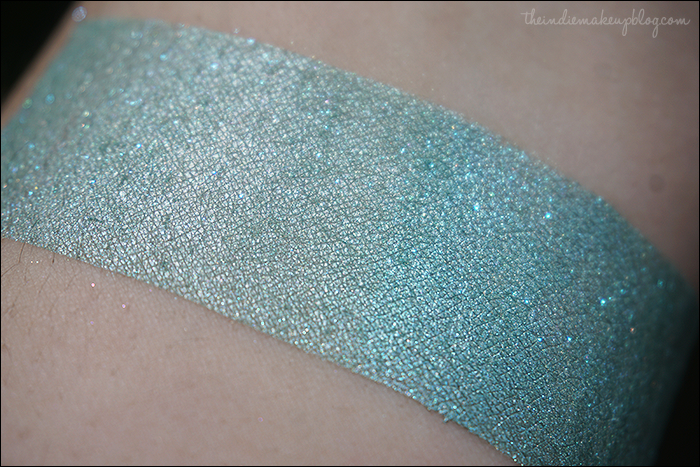 Dream Girl is a robin's egg blue with blue sparkles. This shade is brighter and more shimmery than Corvus Merewif. It would make a great lid shade or pop of color in the inner corner. 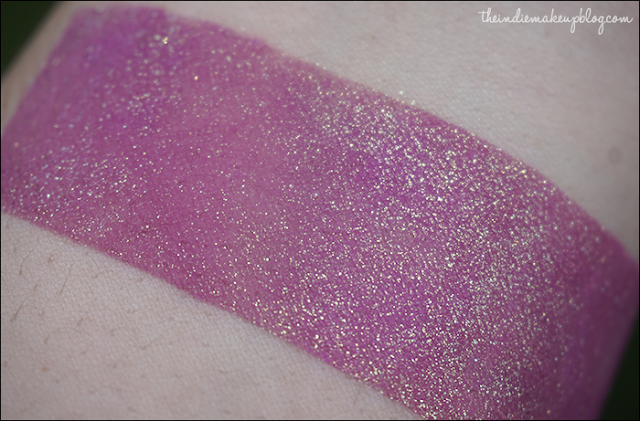 Love Me Right (June CoTM) is a bright violet with lots of gold shimmer. I love any type of purple with gold shade and this one is no exception. 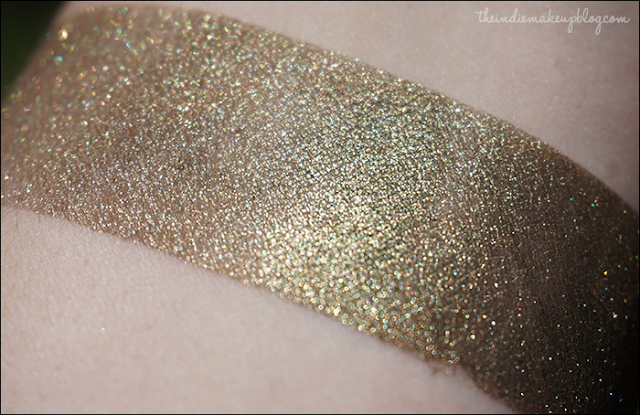 A sticky base is needed for the gold shimmer to really show up. That's it for the shadows, next up are the sheens! Call Me Baby is a soft coral with a gold sheen. I really like how this one looks on me. I wore it yesterday and it lasted for about 4 hours. This is my first experience with the sheens so here are my initial impressions. They run from semi-opaque to opaque depending on the shade. 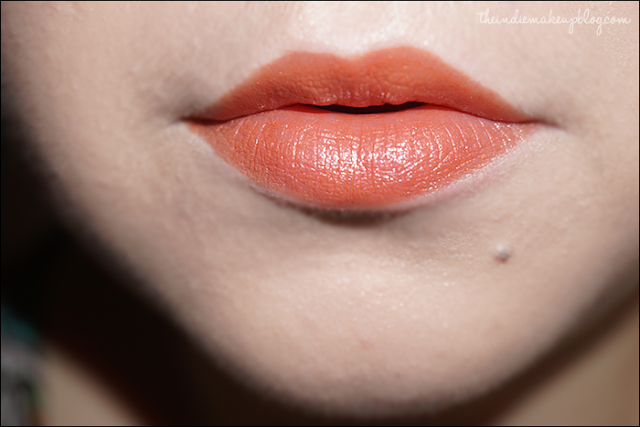 The formula has a decent amount of slip to it but not too much where it becomes a mess if you press your lips together. It yields a glossy, creamy finish. Although I haven't tested out the wear time on Goodbye Baby, I suspect that the deeper shades leave a longer-lasting stain. Goodbye Baby is a black cherry with blue sparks. 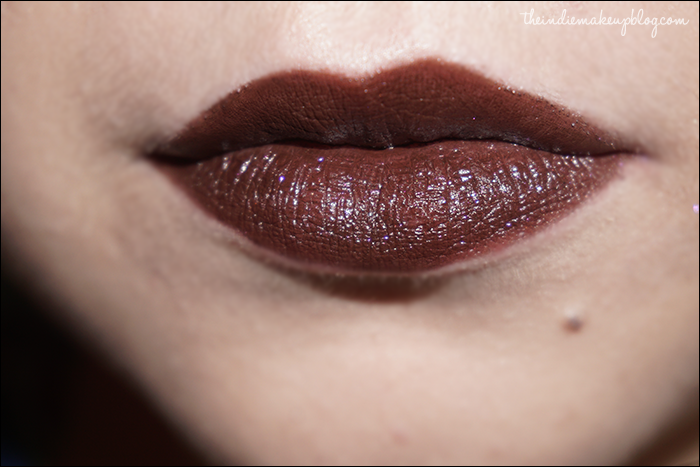 I'm a big fan of brown lipsticks. The blue blue sparkles are a fun touch. This one is pretty dark so I'd probably wear it blotted as a stain during the fall. As with most dark lipsticks, I'd recommend using a lip liner with it. You may have noticed that I never post perfume reviews. 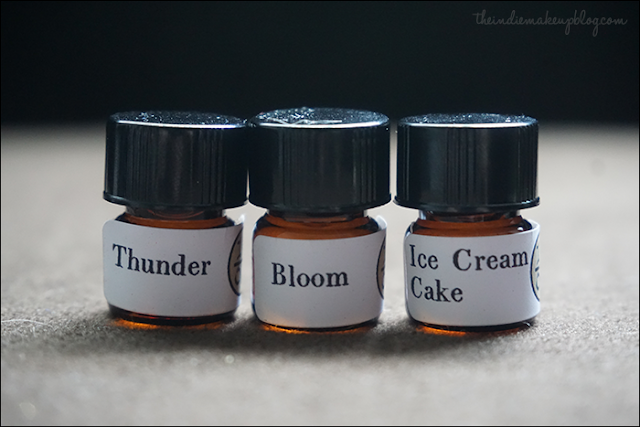 I'm actually quite a newb when it comes to indie perfume and I haven't allowed myself to go down that rabbit hole! Why is this important? Because discerning and describing scents is not one of my skills, so I'll keep this section rather brief. Thunder - Soggy grass in a rainstorm, electrified air, honeysuckle. This one smells very earthy with a tad bit of brightness running through it. I like it. Bloom - Bouquets of frangipani, baby's breath, honeysuckle and wisteria, with fresh peaches and grassy hints. I usually find florals to be too...florally? But this one has just enough fruitiness to it that the floral notes don't overwhelm it. Bloom is my surprise favorite. Ice Cream Cake - Vanilla, chocolate, honey, with a cherry on top, plus a spicy cake base. To me, this smells like red lifesavers or cherry blow pops. I can take or leave gourmands most of the time so I'll probably pass this one along. 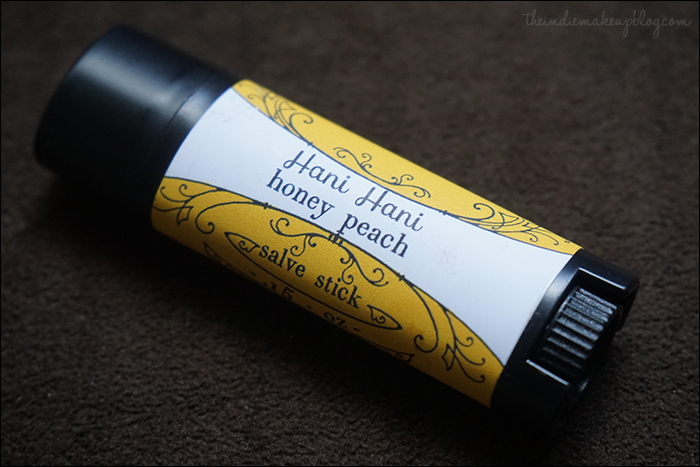 Hani Hani Salve stick. Salve sticks are one of my favorite lip balms. It's fairly thick compared to thinner formulas like Notoriously Morbid Coffin Kissers but is quite hydrating. Mr. Indiemakeupblog insists it smells more like mango honey but I still like the scent a lot.